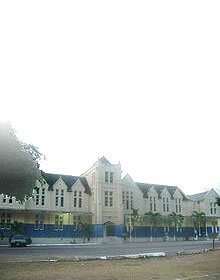 West Indies College was born as a result of the Seventh Day Adventist Movement in Jamaica. In 1907, a ninety acre farm was purchased at Willowdene in St. Catherine, but this was later sold to facilitate the purchase of 507 acres of land at Riversdale in the same parish, where West Indies College had its beginning. The School began with 36 students. Unfortunately, the School closed in 1913, and all but 13 acres of the land was sold. In 1919, the present school was started on the 181-acre Coolsworth property, two miles from the town of Mandeville. The School began in January of 1919 with five boarding students in a rented farmhouse called the Great House. The present wooden structure opposite Sorenson Hall was built from lumber at Riverside. Rose Cottage is one of the earliest buildings built on Northern Caribbean University campus. It housed the earliest teachers at the institution in 1919. Between 1938 - 1946, it became an annex to the girls' dormitory housing 26 students. In 1980 it was used for classrooms and teachers' offices, and later for classes for high school students. Currently there are plans to refurbish Rose Cottage for it to become the Department of History, Geography, and Social Sciences. Industries were established to provide students with employment, while studying and to provide for the needs of the College. There were baking, farming, dairy, sheet metal work and printery. Students could also obtain work in the kitchen, and were required to give two-hours of unpaid labour each day. In 1927, during the Administration of Wineland the first Chapel, boys' dormitory, and girls' dormitory were established. 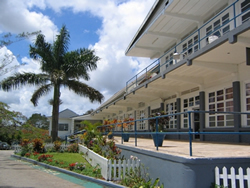 During the 1930s, West Indies College experienced much difficulties brought on by the economic depressions of the 1920s and the onset of World War II. The 1940s was a period of recovery and consolidation. This was characterized with industrial and academic improvement at the College. The 1970s represented a period of unprecedented growth in enrolment. During this period, degree programmes in Business Administration and Nursing Education were added to the school curriculum. 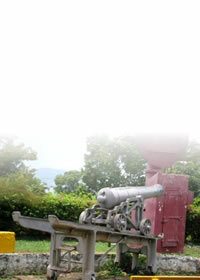 The decade of the 1990s have seen the recognition of and accreditation of all disciplines offered at the school by the University Council of Jamaica. It was recently accorded University status, and hence it's new name - Northern Caribbean University. The chapel was started in the summer of 1952. 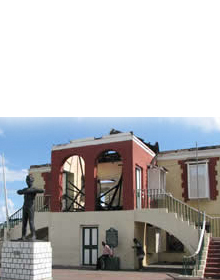 It was built on the site of the original Chapel which was destroyed by the 1951 hurricane.